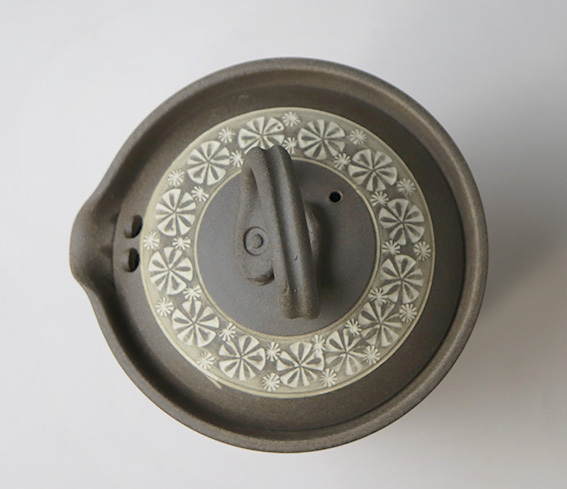 This small teapot is perfect for one cup (or two small cups) of tea, with an "obi" of embossed flowers around the lid and just under the rim. 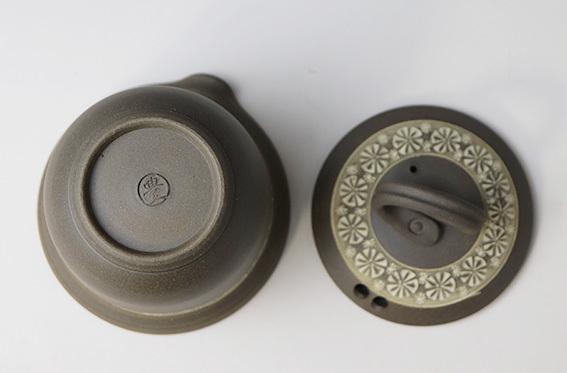 The teapot's lid has a ring instead of a knob, a unique and unusual feature which makes it easy to keep the lid in place while pouring the tea. 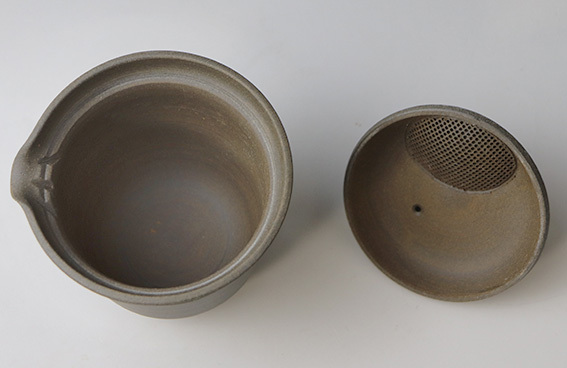 The lid has an uniquely built-in ceramic mesh infuser for easy cleaning. 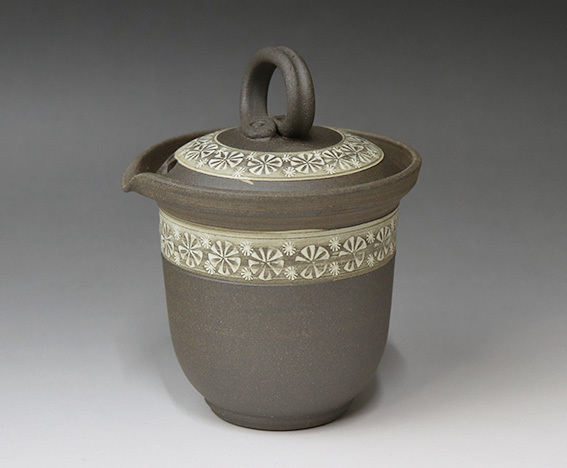 Handmade by Tokoname craftsman, Tsuzuki Yutaka of Daikouji kiln. Width (max) : Approx. 9.5 cm / 3.7"
Height: 11.2 cm / 4.4"